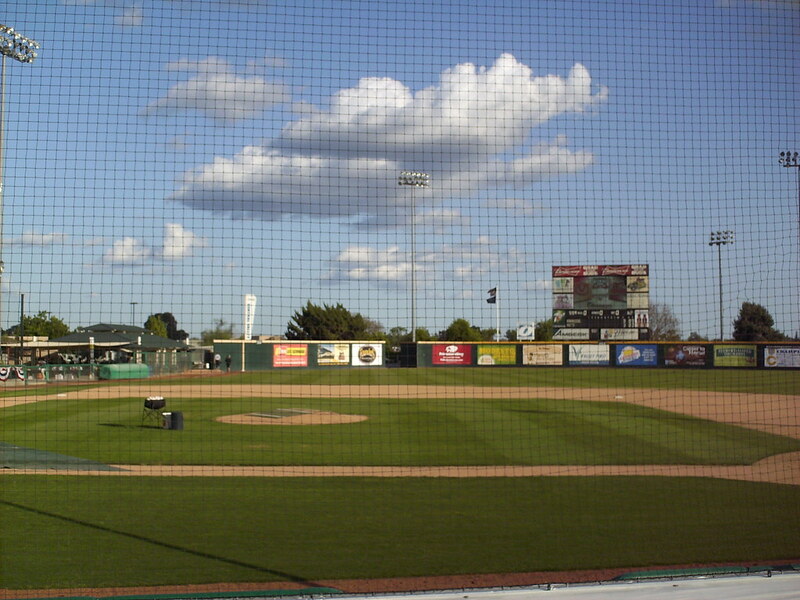 The view from behind home plate at John Thurman Field. 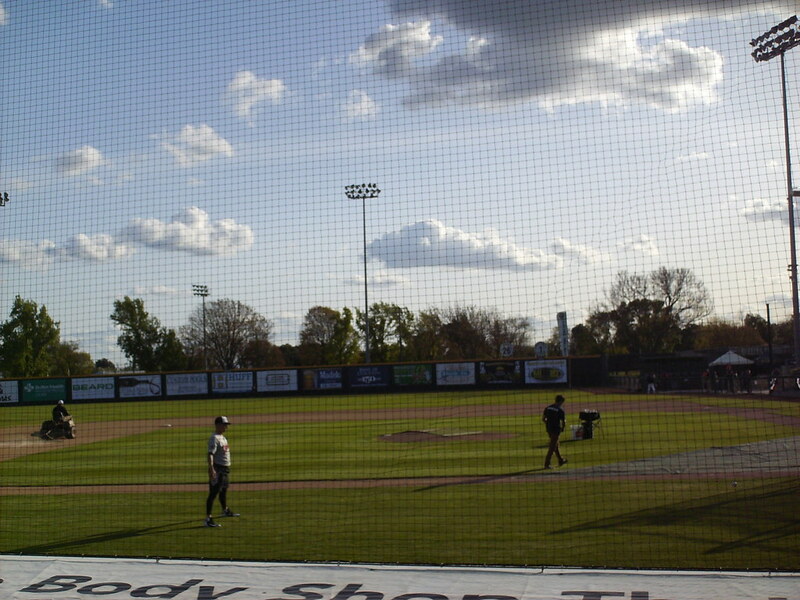 The grandstand at John Thurman Field, as seen from the right field corner. 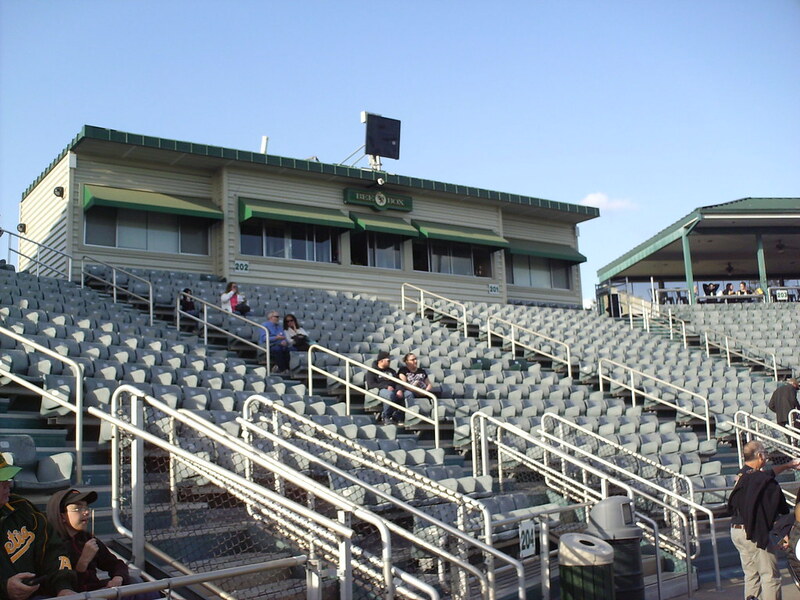 The grandstand consists of three large, steep, open seating areas with the pressbox atop the center structure. 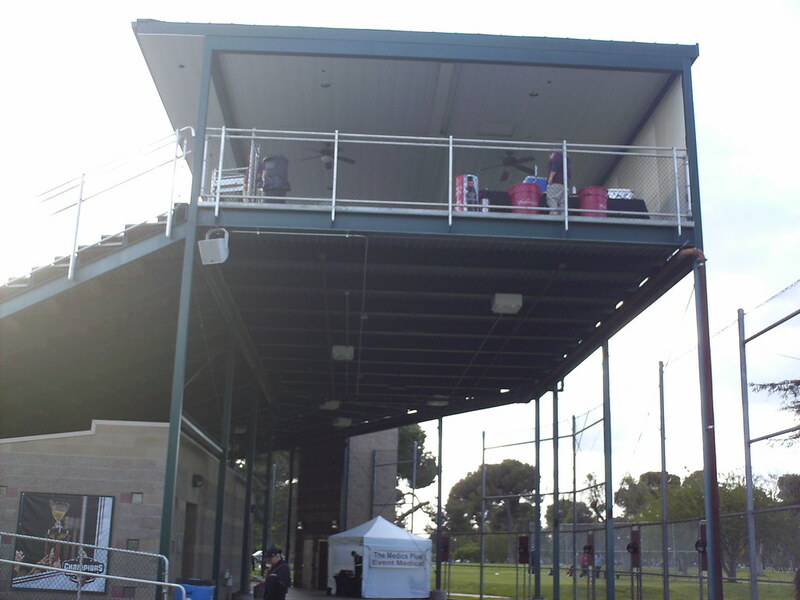 Covered party decks sit on top of the other two seating sections. 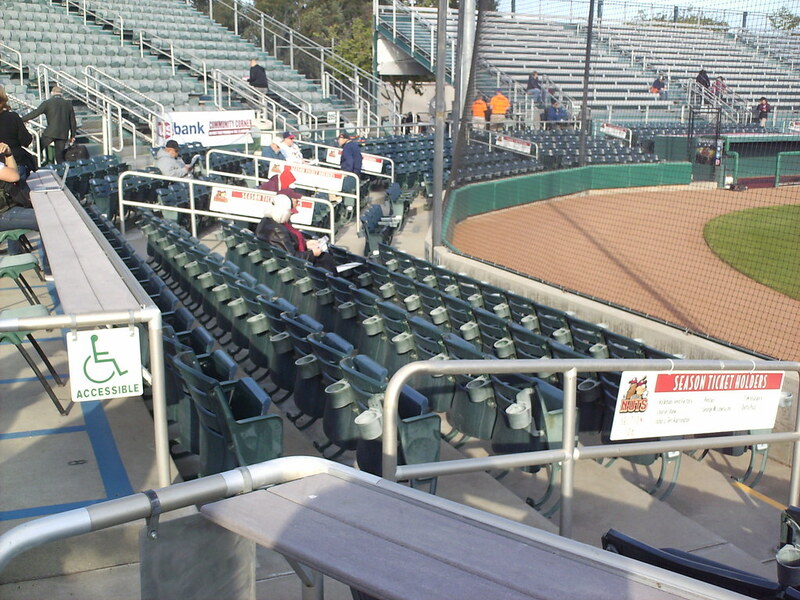 A few rows of fold down plastic seating sit behind the backstop. 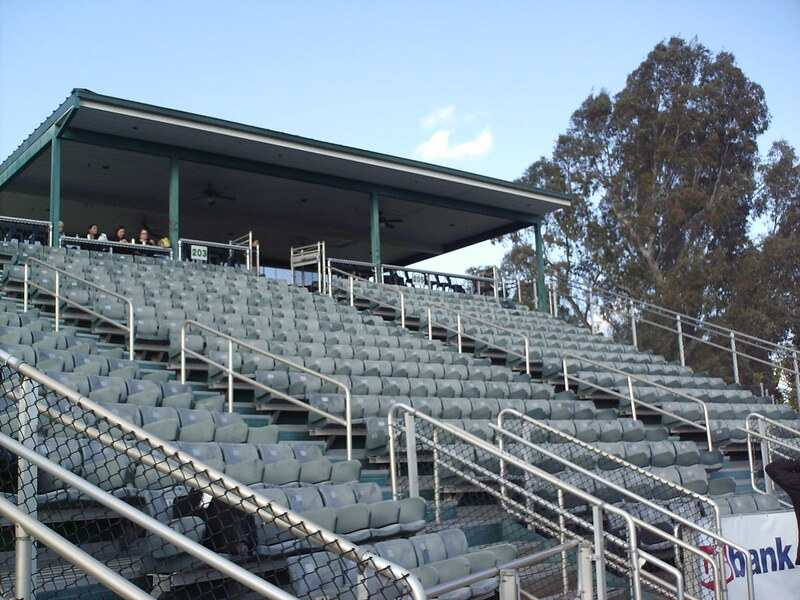 The rest of the main grandstand is plastic bucket seats. 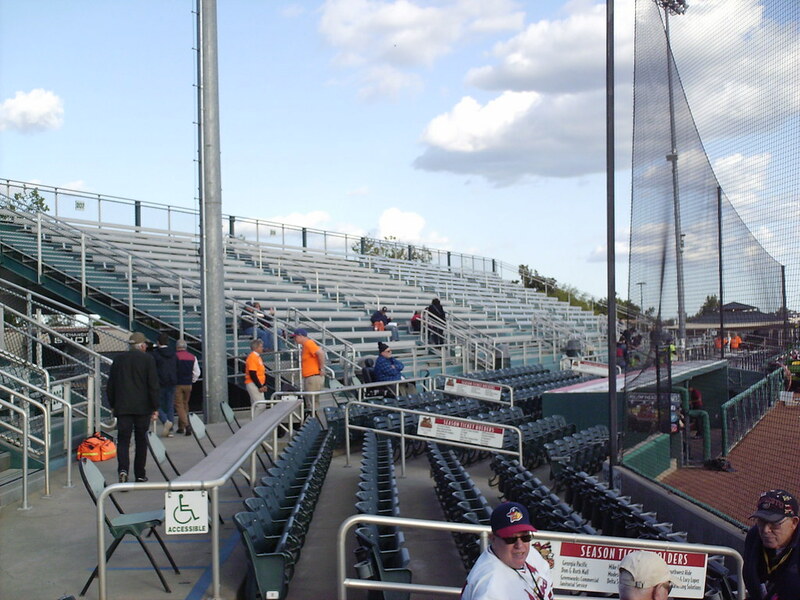 Large aluminum bleacher sections sit down the lines on either end of the main grandstand. 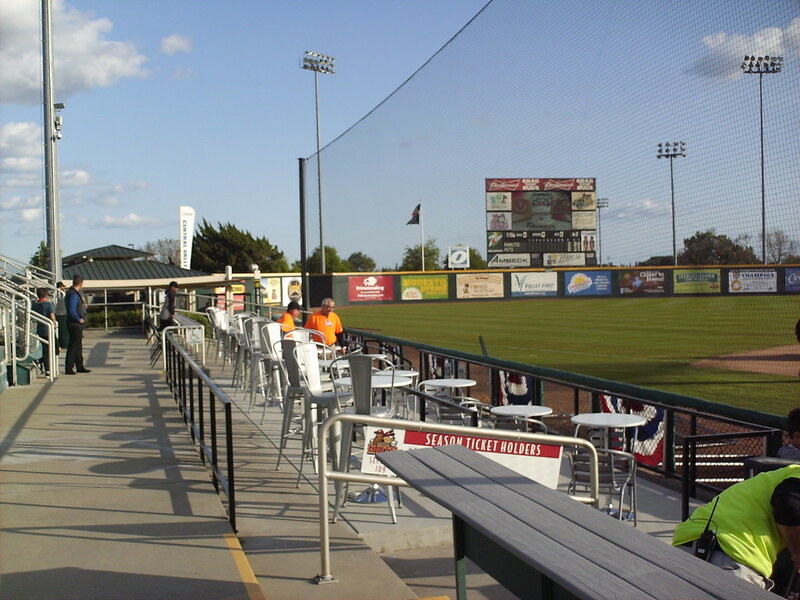 Picnic tables sit close to the field on the third base side of the park. 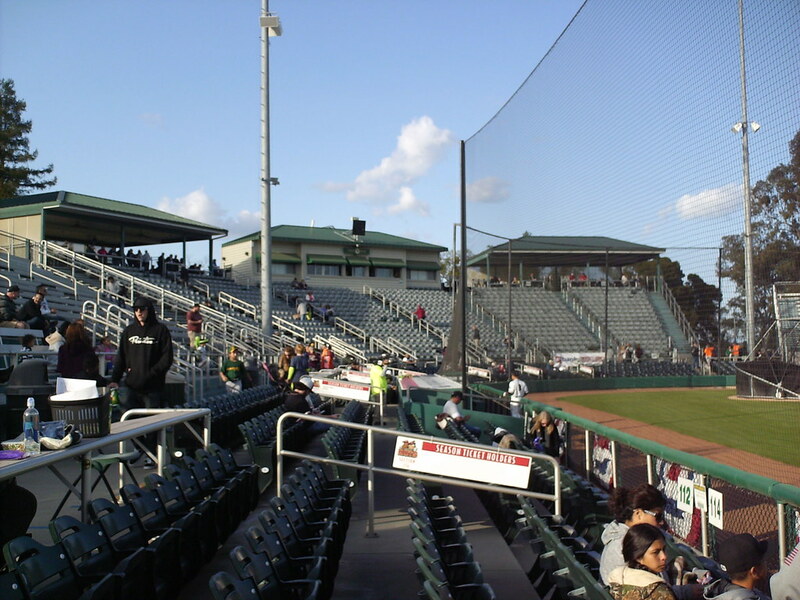 A covered party area sits on the concourse in left field at John Thurman Field. 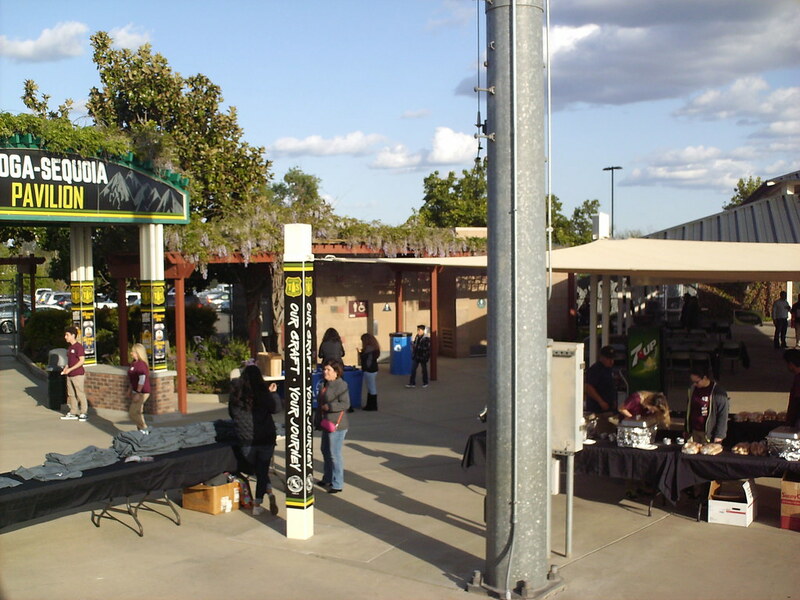 The concourse runs underneath the tops of the main grandstand sections. 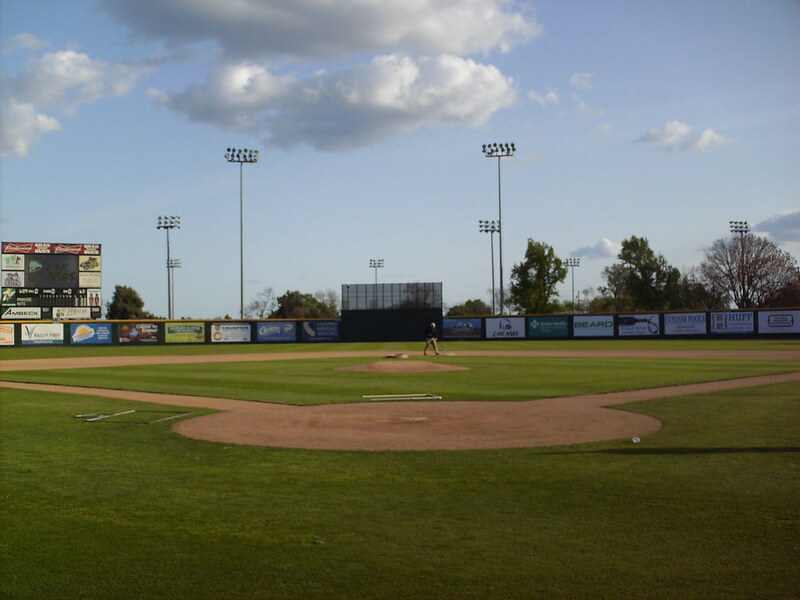 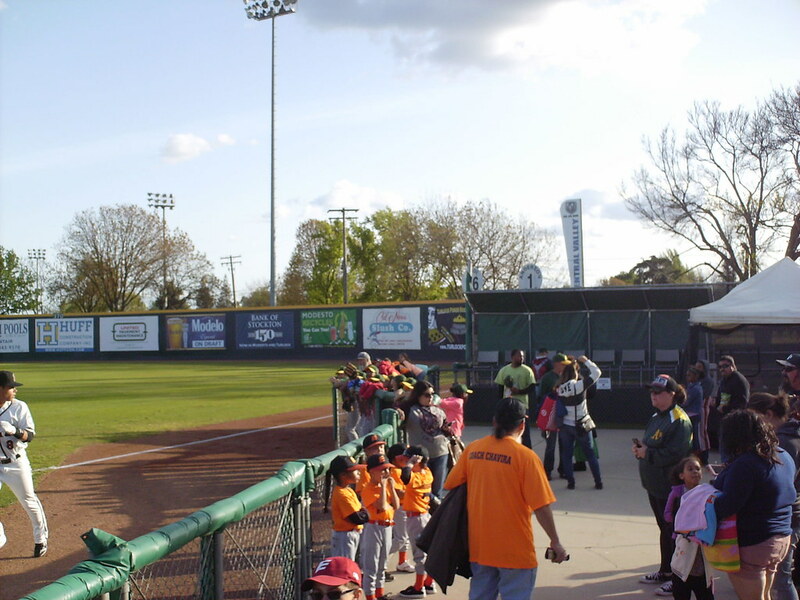 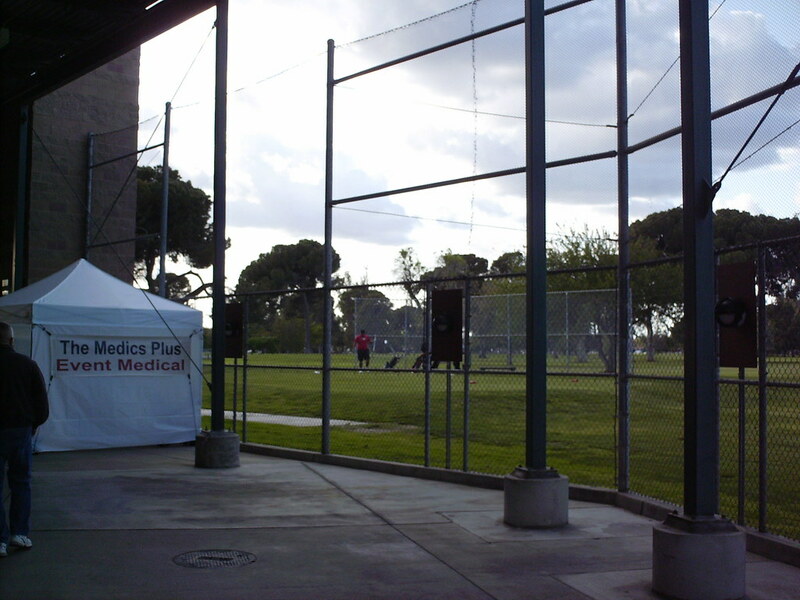 John Thurman Field sits next to a park and golf course in the city of Modesto and a large fence separates it from the concourse. 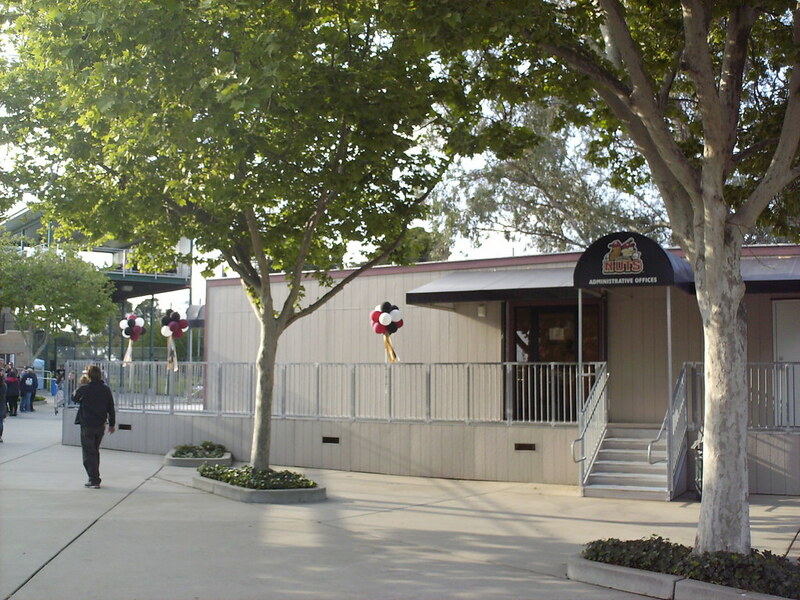 The Nuts offices and team store sit in a trailer inside the main gate. 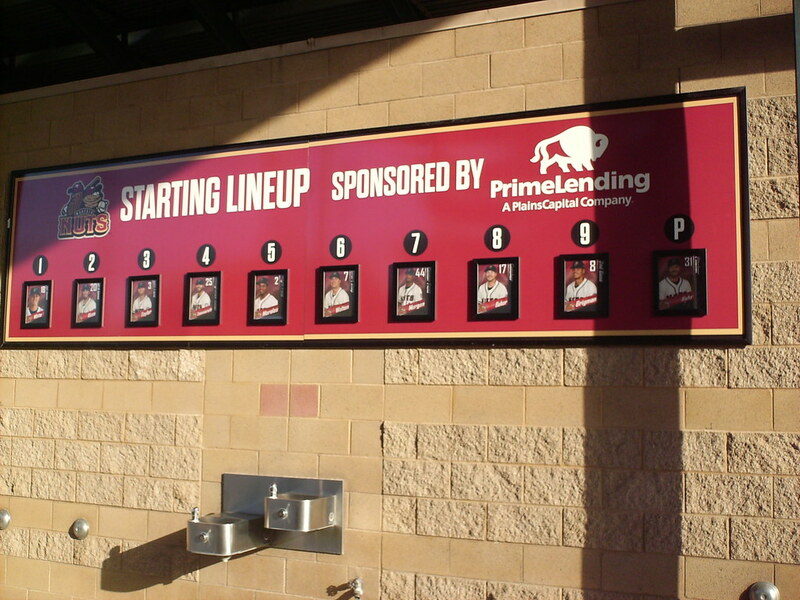 The Nuts starting lineup is represented by photos along the concourse. 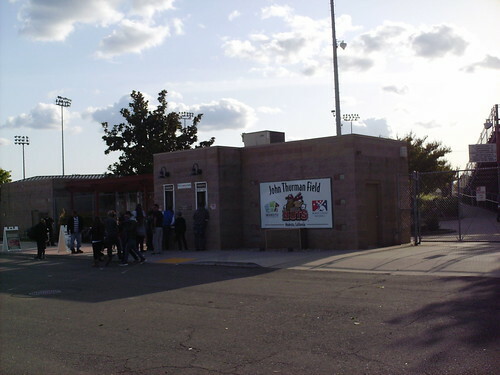 The home bullpen sits in foul territory down the right field line, with an elevated seating perch for the pitchers in front of the batting cages. 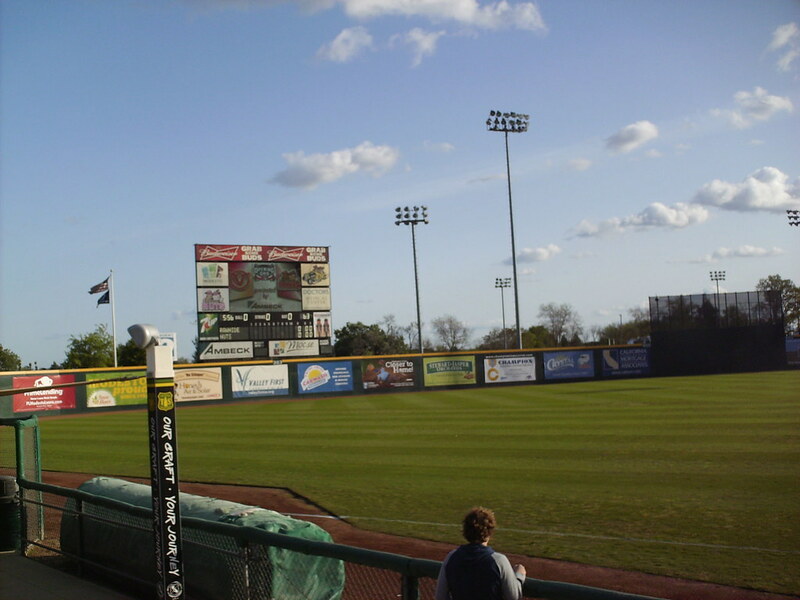 The scoreboard stands behind the left field wall. 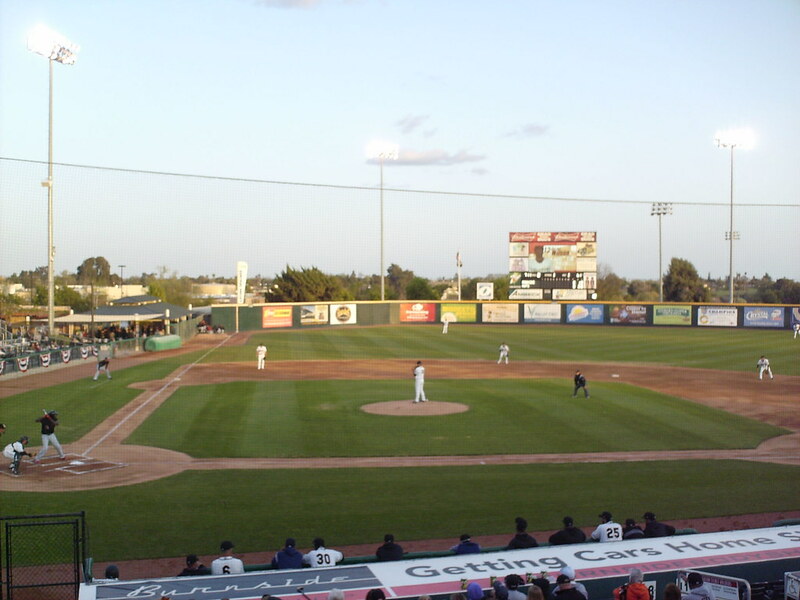 The Modesto Nuts on the field during a game at John Thurman Field.